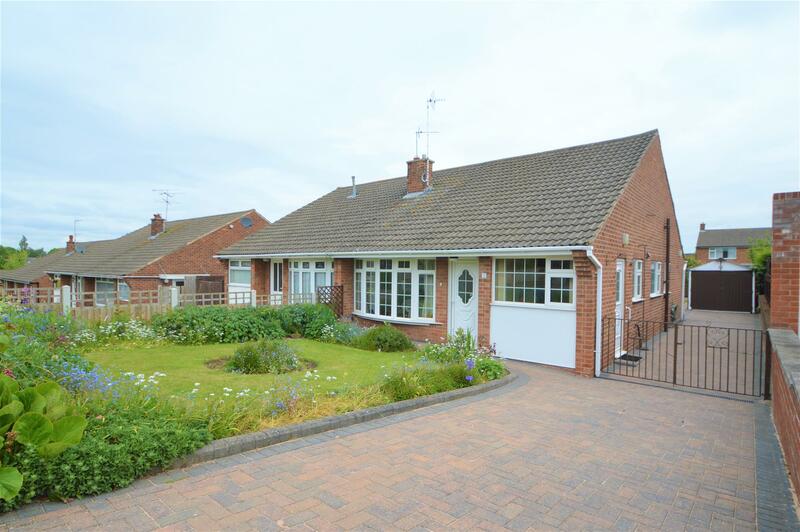 Benjamins Estate Agents are delighted to bring to market this THREE BEDROOM semi-detached bungalow in the sort after village location of Keyworth on Covert Close. Benefiting from NO CHAIN. Viewing is essential to appreciate the space on offer. The property comprises; Entrance Hall, Kitchen Diner, Living Room, Three Bedrooms, Shower Room, Off Road Parking, Single Garage and a Fully Enclosed Garden to the Rear. 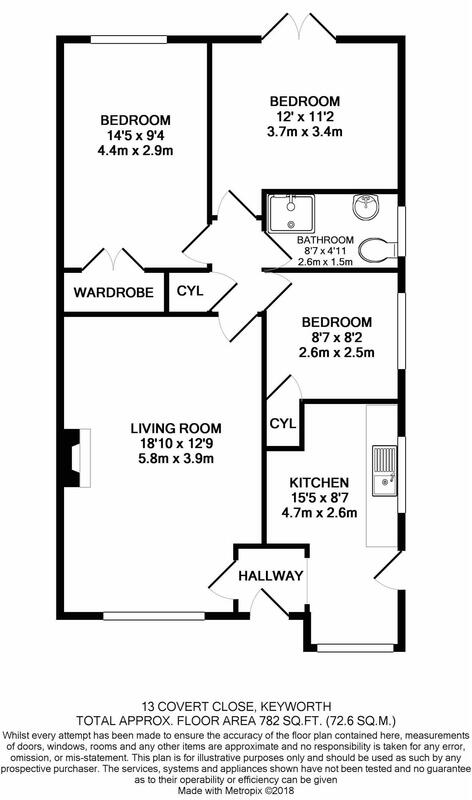 UPVC front door into entrance hall, carpeted, built in cupboard with utility meters, doorway left to the living room and right into the kitchen. With a range of wall and base units and worktops over, 1 1/2 stainless sink with drainer, space for fridge freezer, space for electric cooker & extractor over, plumbing for washing machine, radiator, space for dining table and chairs & TV point. UPVC double glazed window to front & side aspect, UPVC double glazed door to side of the bungalow. The front garden has a lawn and shrubs with block paved driveway with access down the side of the property and gate providing access to a single garage. To the rear the property enjoys a paved patio/seating area leading to laid lawn garden, stocked borders and providing a good level of privacy and surrounding fencing. The local authority have advised us that the property is in council tax band C, which we are advised, currently incurs a charge of £1,622.88 (2018/19) Prospective purchasers are advised to confirm this.